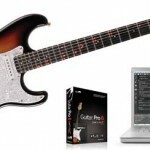 Fretlight guitars allow you to connect a guitar to a computer and light up the fretboard to display scales, chords or even a Guitar Pro score. From a guitar teacher's point of view Fretlight guitars present a unique way to enhance your lessons. We have contacted over 40 guitar teachers who have completed Fretlight's Teacher Certification Program to find out whether Fretlight guitars really are worthwhile for a guitar teacher. In this guide you will find out exactly how other guitar teachers are using Fretlight guitars, what benefits they have found and what to avoid. If you have never heard of Fretlight before, this guide will give you the information you need to decide if a Fretlight guitar is right for you or not. If on the other hand you've been considering getting a Fretlight guitar to use in your lessons, find out what other guitar teachers think of them to help you make the right decision. If you already have a Fretlight guitar, this guide will share best practices to help you get the most out of your Fretlight guitar.